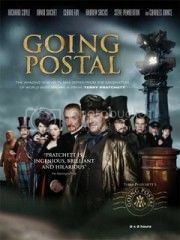 Monday I reviewed the miniseries version of a favorite novel, Going Postal. Tuesday I raved about Eona by Alison Goodman. Wednesday I asked for more dragons – and got lots of responses! Thursday I reviewed Perfect Scoundrels by Ally Carter. Friday I pondered what “Organization” really means. 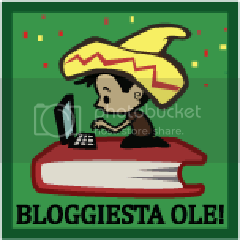 This past weekend saw one of my absolute favorite blogging community events – Bloggiesta! I love it because it’s all about getting to know each other and convincing each other to do all those annoying things we’ve been putting off. When you’re frustrated that you screwed something up or got yourself so behind that it’ll take DAYS to catch up, there’s no bonding experience quite like finding someone on Twitter who is having the exact same problem. It’s incredible amounts of fun no matter how much you get done or time you put in. I spent a lot of time wondering why people would think me organized before I realized that “organized” is just as subjective a word as “beautiful” even though we don’t treat it that way. In most cases, there is no such thing as “more” or “less” organized, just “differently” organized. For example, my own father treats the floor of his study as a big flat filing cabinet – but don’t you dare touch any of the papers, because he knows exactly where each one is! I would say my particular brand of organized is lists. I could make lists all day. I make lists of things I need to do, lists of ideas I had, lists of all the THINGS related with each project I’m working on – Heck, I make lists of LISTS! You want a list made, I’m your gal! The problem (and the reason I think I’m so disorganized) is I tend to make lists so big that I don’t even manage to cross off half the things on them. I make a list and then start on it… and then remember 5 more things I need to add to it before I’ve even finished 1! To some people, though, my obsessive list making probably looks organized. And to an extent, I’ve learned some tricks to help it actually be that way – each time I make a list, I make it a goal to get a higher percentage of that list crossed off before I have to throw it away to make way for the next list. So, if you like my system and think it would work for you, by all means go ahead and try it! I will not stop you! If you figure out how to use it to get you ahead in life, let me know – I still haven’t managed to dig myself out of being “behind” (which is also a pretty subjective term, but a discussion for another day). Otherwise, stick with your system. You know what works for you. And that’s the best kind of organization of all. I always forget how much fun these books are! 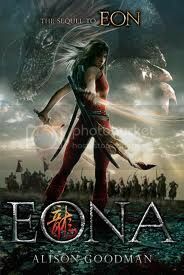 Next time I put off reading a light-hearted YA action novel, kick me, would you? Please? This is another that I don’t really remember what happened in the first two. It was mostly okay though, because as long as you remember how the characters all know each other and what their personalities were like, you’ll be fine. I did have some minor problems trying to work out the timeline – there are a few sections that clearly flash back to before the other two books, but it’s hard to tell with some of them if they’re before or after – but if you can ignore that, it really is a great book. Thanks to Kristilyn for designing the button! Have you ever wished you could find that one book that was about _____? Have you ever found yourself wondering what a book with a certain kind of theme or message would be like? That’s exactly what “Wanted” is all about. A semi-regular feature, I use “Wanted” to talk about all those books I wish I could find that nobody seems to have written yet. If you happen to know of some books that fit my criteria, I would love for you to send them my way through the comments! Can we get some dragons in here please? I remember when I first discovered dragons it seemed like they were everywhere! I raced through the Dragonriders of Pern series’ in Junior High, as well as Patricia Wrede’s Dealing with Dragons and the rest of that series. I devoured The Hobbit and then went looking for more high fantasy, since there seemed to be a higher probability of meeting dragons there. And I read The Neverending Story hundreds of times, just to read about Falkor (okay, maybe not just but he was a lot of the reason). The interesting thing about dragons, to me, is the way they are often portrayed as aloof, but incredibly intelligent – mostly because they’re incredibly old. They’re almost always quirky, funny and the kind of creatures I’d want to be friends with (when they’re not razing villages etc.) Lately dragons have made a small resurgence, in books like Seraphina by Rachel Hartman, The Last Dragonslayer by Jasper Fforde and Dragon Haven by Robin McKinley. But these creatures have such potential that I would love to see more! Wow! What an amazing ending to a great series! I can’t believe I put off reading this one for so long! I have to admit, I didn’t remember a whole lot from the first book. I’d say I spent a good quarter of Eona saying to myself “should I remember this person?” etc. etc. But eventually I got into the flow of it and was speeding along as normal. It’s always difficult watching a filmic representation of your favorite books, especially if it’s not a particularly well known adaptation. There is just SO MUCH that could go wrong, and when you love book, it hurts to see that. Needless to say, I started Going Postal with some major trepidation, but by the end, I liked it! What a relief! I have to admit, it was a pretty rocky start. While they got Moist, Miss Dearheart and Reacher Gilt spot on, nearly everyone else they got majorly “wrong” – I’d always imagined Vetinari as a Wonka-esque Johnny Depp (without so much crazy… okay with a different kind of crazy) and since WHEN is Angua goth?! And BLONDE! She was just weird! But since they were fairly minor characters, eventually I got over it and started really enjoying the show. The thing that really carried the show was Moist von Lipwig. Not only did he look the part, he was incredibly believable. I really bought the swindler part of his character. The actor was very good at portraying that split second indecision that came from once being a dishonest man. At the same time he was so incredibly endearing that I couldn’t help but want him to win in the end. And of course, no leading man is complete without his leading lady (though don’t let her hear you say that). Miss Dear heart was the perfect mix of sassy and sweet. She was prickly because she had to be and they got her prim but edgy look just right. There may be no such thing as a “perfect” book-to-screen adaptation, but this is as close a translation of Pratchett’s work as I’ve ever seen. Well worth the time to any fan! Monday I reviewed the audiobook version of Starclimber by Kenneth Oppel. Tuesday I wondered why time travel was necessary in Revolution by Jennifer Donnelly. Wednesday I wished for a chance to participate in an Austen-ian re-enactment week. 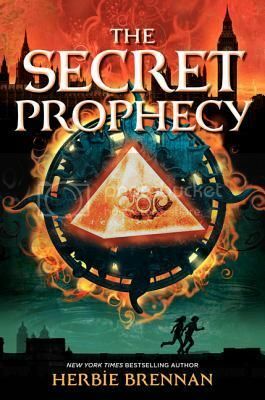 Thursday I reviewed a new book from one of childhood favorite authors – The Secret Prophecy by Herbie Brennan. Friday I confessed that I mostly only like happy books (and then hid in fear of you all shooting me for not really enjoying some of your favorites). Also, Bloggiesta is happening this weekend. Follow along as I try to do ALL THE THINGS. Figure out a schedule to get 2 months ahead by August I figured out how many posts I need at least. It’s looking SCARY to say the least! Make sure all handwritten content is typed and scheduled. 1. Through a Visitors Eyes. Look into other photo hosting options: If not, figure out album sorting in Photobucket I looked. We’ll see how it goes. That’s a lot to get done! Guess I’d better get busy! Discussion Day: I like happy books! I have a confession to make, and it’s probably going to make me sound like a terrible person. Please, no judging? I’ve always maintained that I don’t particularly like contemps. Judging by the stats of my reading, it looks like that’s true – I probably read one contemporary for every 20 or so sci-fi or fantasy novels. I kind of treat it like the apple-a-day theory (or maybe the medieval “bathe once a month whether you need it or not” thing) – every once in a while I feel like I really should read something that doesn’t have magic or super-machines in it, just for the looks of things, so I pull a contemp off my list, order it from the library, and then let it sit on my shelves for at least three weeks before I realize it’s due in a week so I’d better start it and THEN force myself to crack the spine. It’s a sad, sad vicious cycle. But the truth is, not all of these contemps are that difficult to get through. There are some (Anna and the French Kiss, The Statistical Probability of Love at First Sight, Dash and Lily’s Book of Dares) that I zip through like candy. Seriously, I finished Anna in about 2 hours and that thing is almost 400 pages long! (I’m estimating, but I took it on a 4 hour car ride and read it and one other book before we arrived.) I absolutely love happy books like that – the chick flicks of the book world! So I realized, what I “don’t like” about contemps really only applies to the sad ones. You know, the ones where they fall in love and then she tells him she is dying from leukemia. The ones where they’re stuck in a hostage situation, and you just know there’s no way both will come out alive. Even the ones where it’s about the main character learning to deal with another character’s death, or leaving, or what have you. I just don’t want to be sad, so I don’t want to read it. Is it so wrong of me to not want to be sad? I read as an escape from real life. I read to make myself feel better. Why would I choose to read a book that I know is going to make me cry? Also, am I the only one? So many book bloggers love love LOVE contemp novels that I’ve kind of been afraid to admit this. The problem, then, is that I paint ALL contemps with that brush, and sometimes, when I want to read a fluffy chick-lit contemp I can’t find one. (And let me tell you, sometimes I crave that kind of fluff like it’s crack!) So, here’s where I’m asking for your help. Many of you love contemps, and you read them all the time. How do you tell the difference between a somebody-dies-at-the-end contemp and a happily-ever-after contemp? Do you have favorite happy contemps that you could recommend to me? Imagine your father has been found dead. Strange men armed with guns show up at his funeral. And those same men have begun to follow you. Now you’re on the run. When Edward Michael “Em” Goverton uncovers the key to a five-hundred-year-old deadly prediction by the prophet Nostradamus, personal tragedy morphs into international crisis. Soon Em finds himself enmeshed in a sinister web of shocking events where nothing is quite as it seems. Aided by Victor, a mysterious stranger, and Charlotte, a family friend, Em follows a trail of cryptic clues that leads the trio into a conspiracy of world-shattering proportions. But the ominous forces behind the plot are not about to sit back and let their plans be ruined. Soon their net begins to close in on Em, and it’s a race against the clock for the trio to finish what Em’s father started–and prevent a catastrophe that threatens the lives of an entire generation. Herbie Brennan has been a favorite author of mine for a very long time. It started with his Faerie Wars series (which you should all read, by the way) and escalated from there. So when I found out he had a new book out, I just HAD to read it! The Secret Prophecy has a very different feel to it than the Faerie Wars. For one thing, it’s not a paranormal novel at all – it’s a spy thriller! Not what you might expect from a middle grade novel, but it actually really worked!